Do you know that the GRHE nymph is considered the oldest nymph?. The fly is used by hundreds of years. Even now is still efficient especially during Spring time till end of Summer. Can be tied in different ways and variants with or without bead, with synthetic dubbing, with hot spots. Bellow is my recipe and materials that I use to make it. 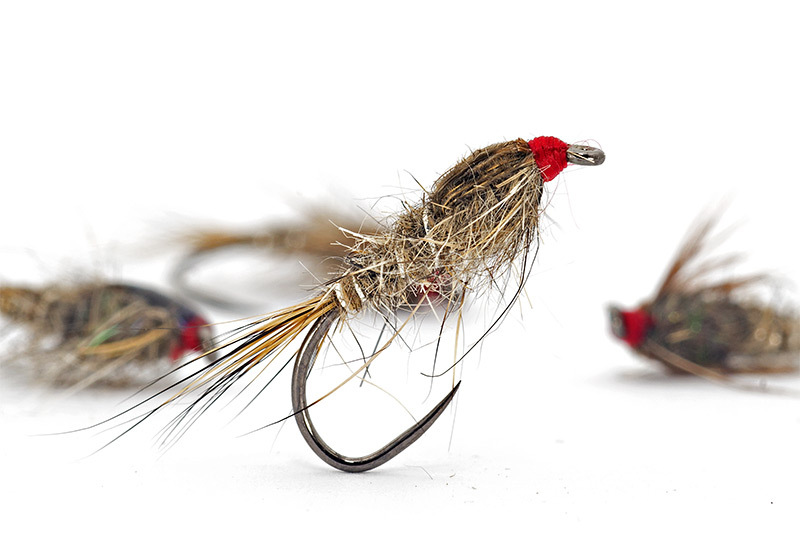 The secret of this nymph stays in the materials used and in the shape of the fly. The special structure of Hare fur combined with the color of fibers give to the fly a realistic look. The shape of the fly is considered a standard for nymphs because is very close to the natural look of aquatic insects that are in this stage of living. For these reasons the GRHE also known as Gold Ribbing Hare Ear is considered a searching pattern and works so well. Because it imitates mayflies, baetis, stone flies all in one! can be fished using a dry fly rod with a 9′ dry fly tapered leader. For beginners, this fly is a must because can be easily handled. Just cast the fly, wait to sink a little bit to be between levels of water and let the fly to ride the currents. The fish strike it is firm and the trout or grayling will be hooked. 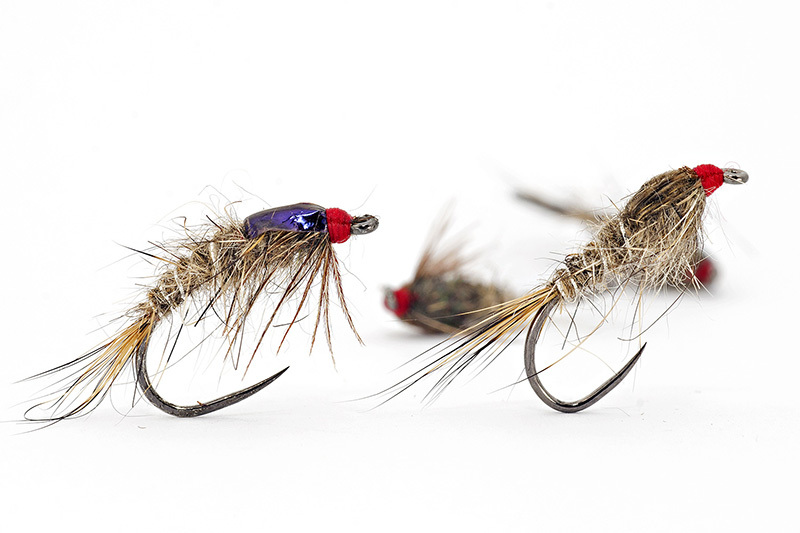 can be used in team with a heavier nymph using Czech Nymphing style, Long Nymphing and Dynamic Nymphing. You need a long leader up to 9 m ( typical nymphing leader ) and a Nymphing rod. Just “play” and “jig” the nymphs behind rocks and you will have fish on them. The GRHE can be set on top or on dropper and being not very heavy will behave more natural and the fish will take it easily. can be fished like wet flies or spider fishing technique. A classic dry fly rod can be used combined with a classic dry fly leader. Just cast down and across , mend the line to help the fly to sink a bit and then let the current do the heavy work. In this case I recommend to use non heavy GRHE because the fly will be “played” by current more natural. A heavy model will be more like a rock without life in it. Leisenring technique is also very effective. A fly fisherman should cast the flies ( if you fish with 2), let them sink and then rise the tip of the rod gradually. The flies will look like insects that want to emerge at the water surface. The step 2 is to push down the tip of the rod and drive the line to go on the side of water current. The flies will look like tired insects without enough energy to emerge. Will look like the perfect catch, an easy food. The trout and the grayling will attack them fast and decisive , the hit will be strong and powerful.